made with premium ice cream! 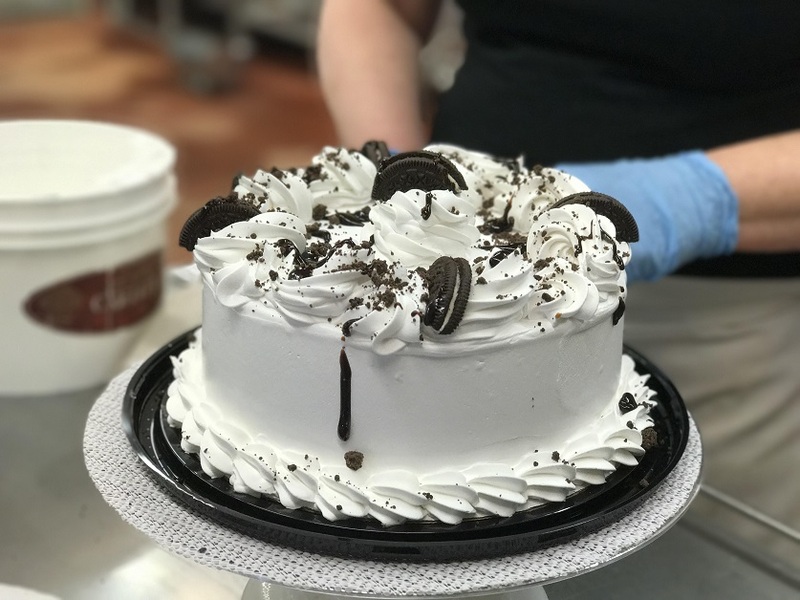 Made weekly and onsite with fresh ingredients, Merrymead’s ice cream cakes & pies are available in our store located in Lansdale, PA. These specialty desserts are “cream” of the crop using cream from our favorite dairy cows! Our ice cream cakes and pies are sure the be the perfect dessert for any occasion, from birthday to anniversary to weekend get-together! Fill out the form below to request your custom cake. 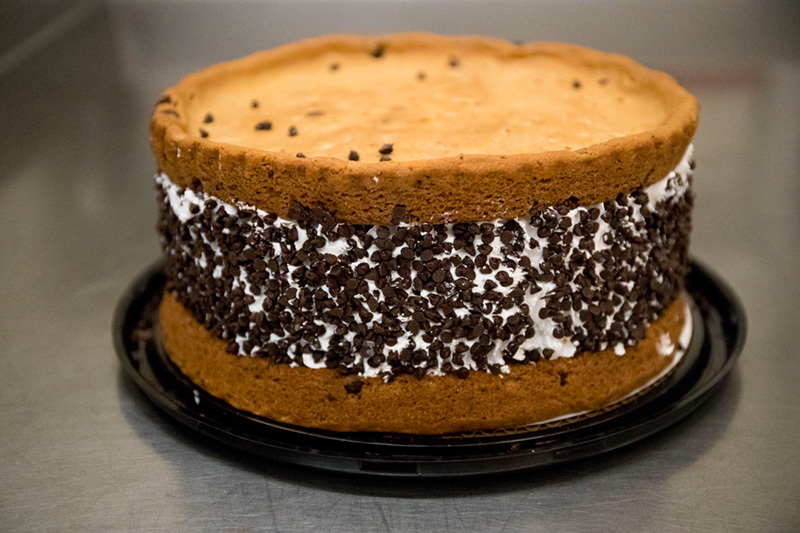 Our standard ice cream cakes are layered with a creamy vanilla bean ice cream on top, an Oreo cookie crunch layer in the center, chocolate ice cream on bottom and covered in a vanilla whipped topping. 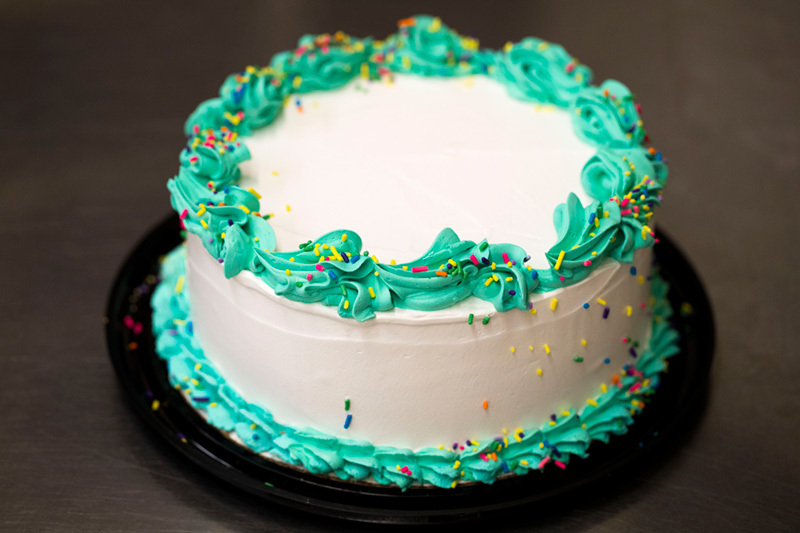 You can also call 610-584-4410 to learn about our variety of ice cream cakes in stock for immediate pickup. Looking for your favorite Merrymead flavor? 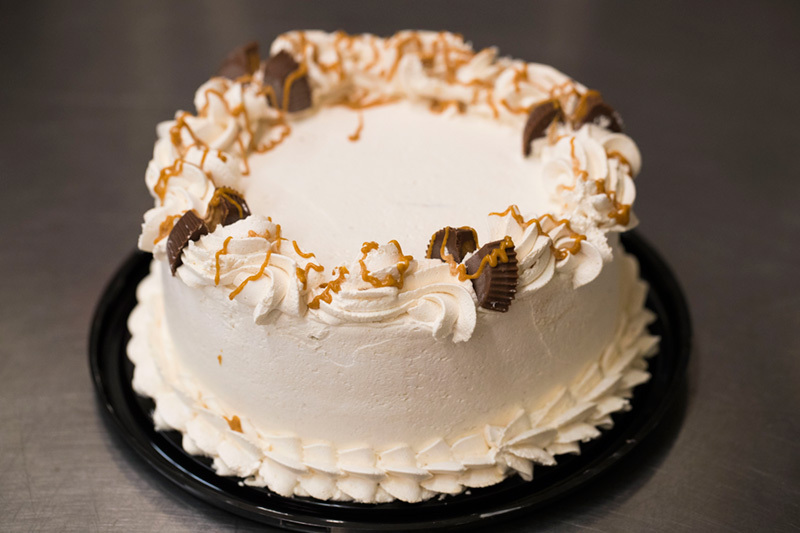 Merrymead’s Gourmet Ice Cream Cakes are creamy & delicious 8” Round cakes that serve 12-14 people and all flavors are $34.99 each. These homemade cakes are available in a variety of popular Ice Cream flavors and are garnished with extra toppings for that extra kick of sweet! Our gourmet cakes are an “udderly” unique way to sweeten up any event.Call (610) 584-4410 for pricing and in stock availability. Try the Giant Chipwich Ice Cream Cake! That's right! A GIANT CHIPWICH! Bring this home for the whole family to try. A 9” round cake made of two delicious freshly baked chocolate chip cookies stuffed with creamy vanilla ice cream and rolled in mini chocolate chips. Yum! Starting with a chocolate cookie crust, these tasty treats are going to impress any taste buds. Packed with flavor in every bite, Merrymeads Ice cream pies are available in a variety of flavors! & place your Ice cream cake order today!